A collection of stylish work outfits for ladies, featuring professional outfits for more conservative office environments. Outfits feature ways to remix work wear to save money and make professional dressing more affordable. 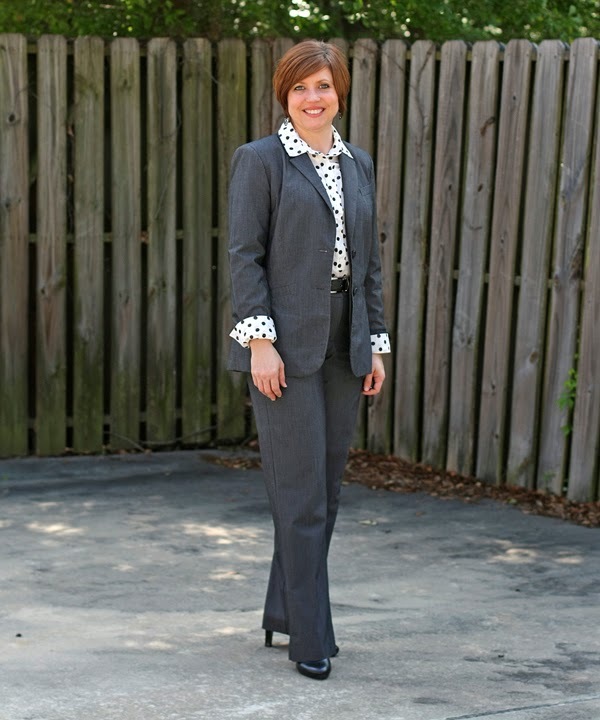 Outfits are appropriate for ladies of all ages and include pants, skirts, blazers and office appropriate tops. Fashion tips included for ways to quickly look put together and ways to style some tricky pieces for the office. This grey snakeskin print blouse pairs beautifully with teal, a great fall and winter color.